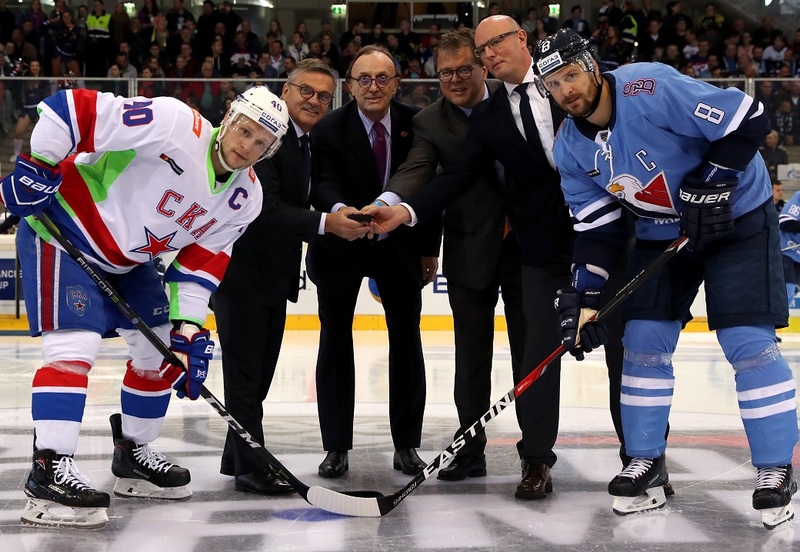 The second KHL World Games meeting in Vienna saw SKA rattle up seven goals against Slovan – while senior figures from the hockey world talked up the success of the weekend and looked forward to more high-profile international events in the near future. SKA arrived in Vienna after a 2-1 win at Dinamo Riga. Unlike CSKA’s players, there was little time to explore the cultural attractions of the Austrian capital. 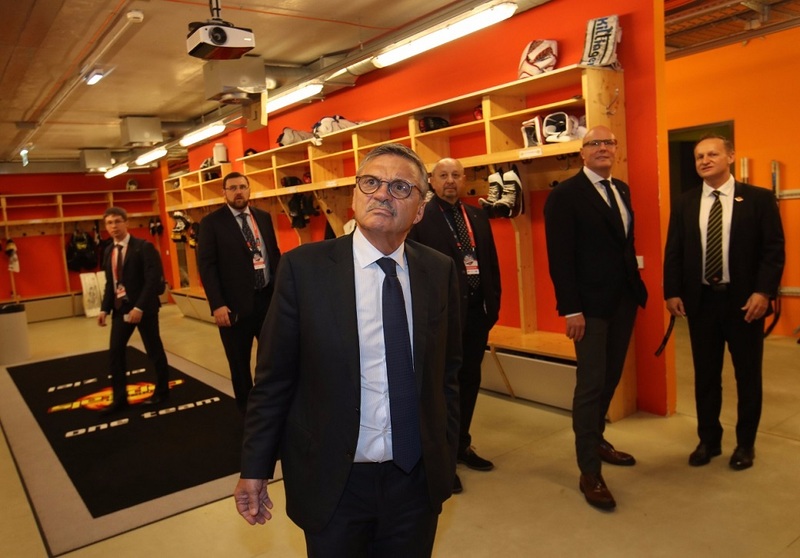 “Unfortunately we only had about an hour-and-a-half free yesterday, so we couldn’t really see much of the city,” admitted forward Viktor Tikhonov. “But it’s a beautiful European city, I’d love to come back here. “It’s always interesting to travel around the world and get a feel for how people relate to hockey in different places. If I could choose where to have a KHL team in Europe, I’d have to say that I love Venice – but I don’t know where you could build a rink there! 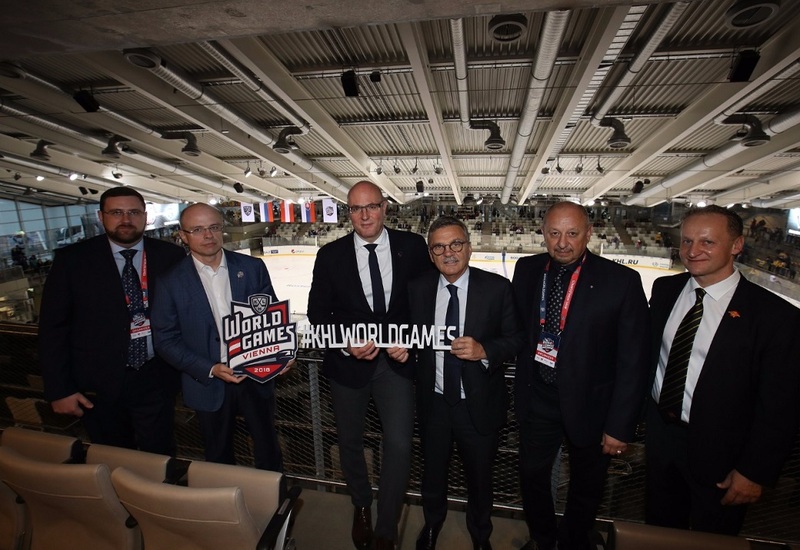 The pre-game formalities involved IIHF President Rene Fasel and his KHL counterpart Dmitry Chernyshenko, as well as Vienna Capitals president Hans Schmidt and Austrian Hockey Federation chief Gernot Mittendorfer. And their discussions raised the possibility of a tantalizing showdown between the top clubs of the NHL and KHL. There was a small disappointment when the rosters were announced: Pavel Datsyuk, SKA’s star forward, missed out after picking up a minor injury in Riga on Friday. Even in his absence, though, the visitor included the KHL’s leading scorer, Patrik Hersley. And it was the Swede who opened the scoring in the eighth minute. Hersley extended his current productive run to seven games as he potted his 11th goal of the season. And that’s from a defenseman. 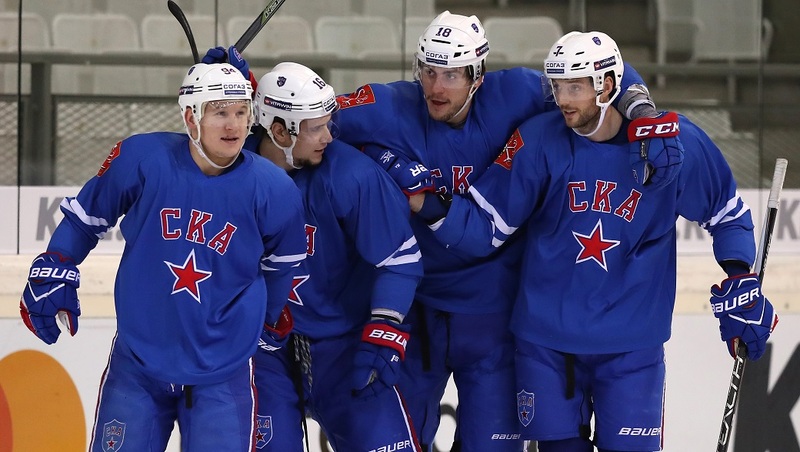 Prior to the game, Tikhonov had admitted that SKA had struggled a little to make the most of its chances in recent outings. At the first intermission, the scoreline was just 1-0 in the visitor’s favor. 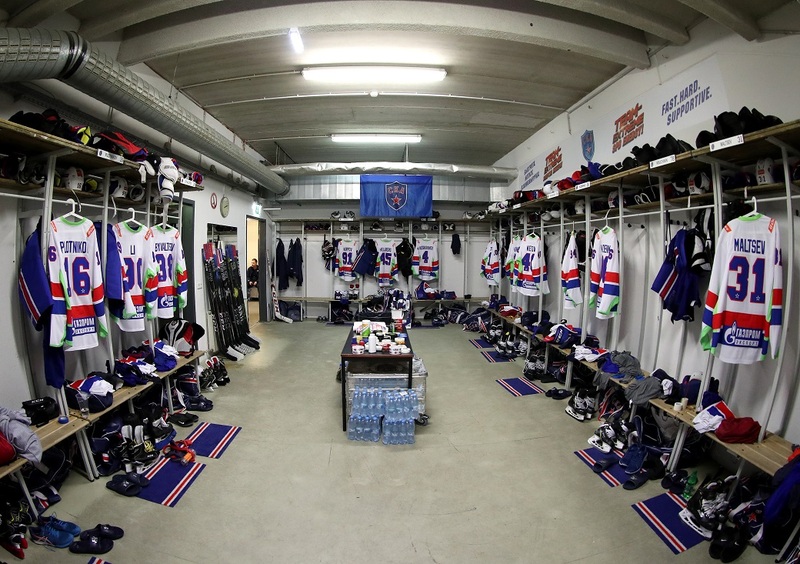 For Slovan, still recovering from its 0-9 drubbing on Friday, keeping it tight was paramount and Vladimir Orszagh’s team worked hard to ensure that SKA could not take the game away in the opening exchanges. However, the host was always vulnerable to a penalty. Hersley’s opener came on the power play and there were rather too many minors awarded against the Slovaks. SKA was not able to capitalize on the man advantage but the strain of the PK gradually wore down home resistance. Just after the midway mark, two goals in a minute from Jarno Koskiranta and Sergei Plotnikov pushed the Army Men into a 3-0 lead and the outcome of the game seemed more or less secure.